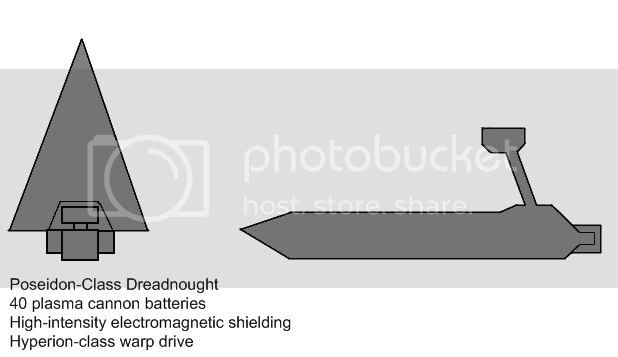 Technology; OVERVIEW: Most of Photos technology, about 85% of it in fact, is based on Plasma, with recent discoveries leading to the use of powerful Antimatter weaponry on their spacecraft. The Photos Empire as a whole has a rather large Research and Development section, and almost all their technology is either being improved or altogether reinvented, usually resulting in more efficient and powerful functioning. The Photos Empire's major technological strengths lie in AI development, weapons development, and several other material manufacturing bases. Technology; MILITARY: Of all the tech areas, the majority of Photos research goes into military technology in some form or another. One of the biggest, yet least acknowledged developments the Photos has is their most basic infantry Power Armour; this standard-issue mass-produced asset is one of the biggest factors that give Photos infantry a major edge in combat; they're rather difficult to injure, let alone kill. Some of the largest mobile land-based constructs the Photos have are the walkers of the Xylanis Waratica; this branch of the military oversees the usage and deployment of large walking mechs that are by far some of the most devastating units on any battlefield, and inevitably are the center of combat. Armed to the teeth and equally armored, even a light walker supporting two or three squads of infantry is a force to be reckoned with. Tanks, aircraft, and other combat vehicles fill in the rest of the military roster. Technology; MEDICAL: Photos medical technology is, for the most part, geared towards quick healing. One of the most common medical items is Medi-gel, a gelatinous compound that triggers cellular repair and almost 70 times the normal rate; a broken bone that would usually take 3 weeks to heal would be completely healed in about two days with a precise injection into the area around the break. New serums and other medicines are in the works all the time. Empire; SIZE: The Photos Empire is a vast empire, having developed in a relatively isolated sector of space; however, expansion was later in time as the Photos were pushed into space by an invasion by a race named the Zeront, now under new leadership and allies with the Photos. After their victory, the Photos did an almost mobbed-style expansion, increasing in size quite rapidly. Expansion has always been slowing after that point, but the Photos Empire has almost tripled in size sense then. This large number of planets from which to draw troops and resources from is what makes the Photos armed forces what they are today. 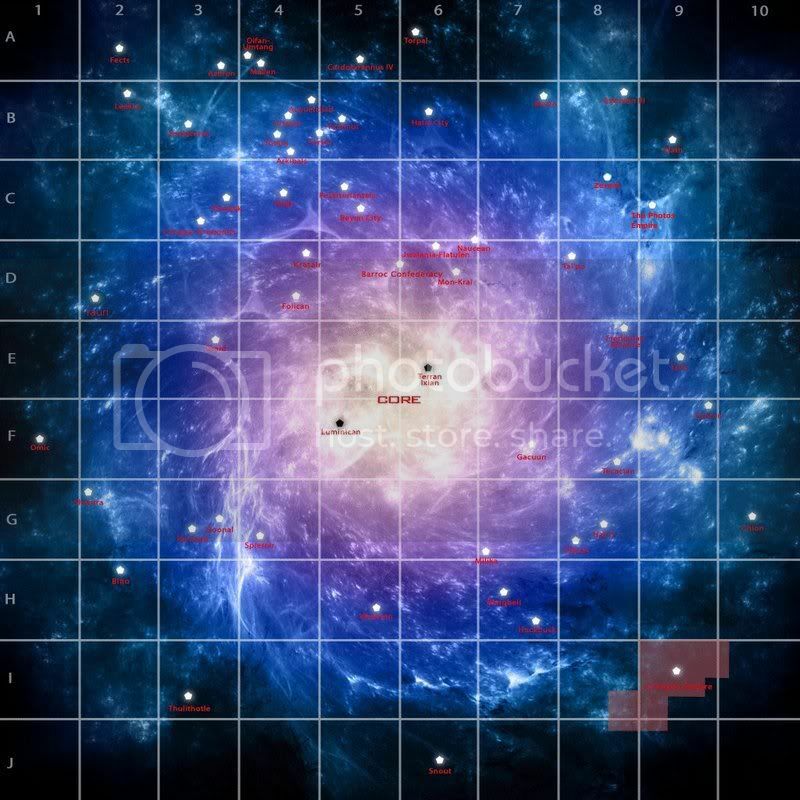 There are no Sporebucks in the RP galaxy, only Galactic Credits. Also, you can't link to pictures on your C drive. You must upload them via Imageshack, Photobucket, Flickr, etc. Other than that, this universe is more in-depth than Spore would ever be. Just take small steps and work your way up. Take the time to study other people's races and you should do fine. Hope to see more about these guys! NOOOOOO!!! PLEASE, NO MORE MS PAINT!! MY EYES ARE STILL RECOVERING FROM THE PREVIOUS MS PAINT CREATIONS! But if you mean Paint.NET or something like that, just save your artwork to a file. Get a Photobucket/Image Shack account, upload your image, and voila! It had better not be crappy, though. I'm warning you! Oh cut the melodramatics! I took a good 30 minutes on it! and its VERY SIMPLE!!!!! Oh, phew! For a moment there I was worried it might be crappy! What a relief. Initally they were a species on all fours that gradually developed onto to feet. When they formed tribes they had the most advanced tools a tribe had at the time(ie impact seperation spear heads, Bow and Arrow's) They very quickly developed cities with their advanced technologies. But victory would not come easily.In the middle of a large sea battle, a space faring race's rading ships arrived. They repeled them, but took heavy losses, 6 out of the 19 global metroplises being reduced to rubble and ash in the aftermath. The Photos were determined to exact a fearsome revenge. But rebuild would come first. Nice, but wouldn't they initially start out as cells, then fish, then-oh, you get the idea. Then again, I suppose the first parts of their evolution were rather boring and uneventful. What was the spacefaring race that attacked, anyway? Wow. You need a different name man. I assumed that this was some topic about photos. Ha... Guess I was wrong. What? the dreadnought....that was just their blueprint!